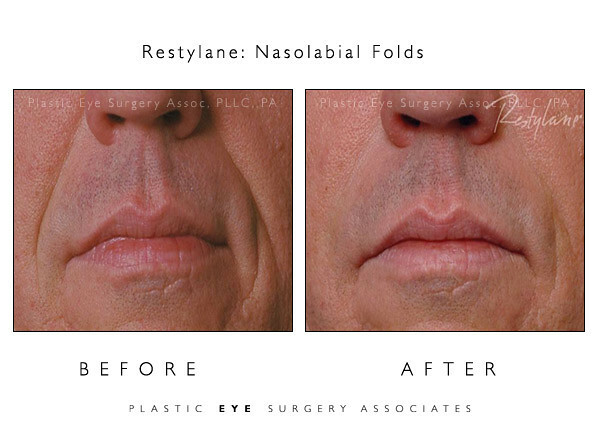 Restylane® is a safe and natural cosmetic dermal filler that restores volume and fullness to the skin to correct facial wrinkles and folds. Restylane has a highly favorable safety profile. It is composed of non-animal stabilized hyaluronic acid, which is a substance found naturally in the human body. Restylane is fully biocompatible. No allergy testing is required before use. Restylane maintains its shape using the body’s own moisture. This ability of hyaluronic acid to bind to water is what helps provide long-lasting results. Restylane is free from animal proteins. This limits any risk of animal-based disease transmissions or development of allergic reactions to animal proteins. We remain innovative injectors of the hyaluronic acids and not only published the first papers in the U.S. literature to instruct other physicians about these fillers, but we were also the practice that first identified the appropriate use of the enzyme hyaluronidase which can be used to immediately dissolve these fillers, if needed. Using Restylane, we specialize in under eye injections for dark hollows and overall face sculpting.